What better way to celebrate Mexico's victory at the Battle of Puebla on May 5, 1862, than with a celebratory drink? And what better drink than tequila? 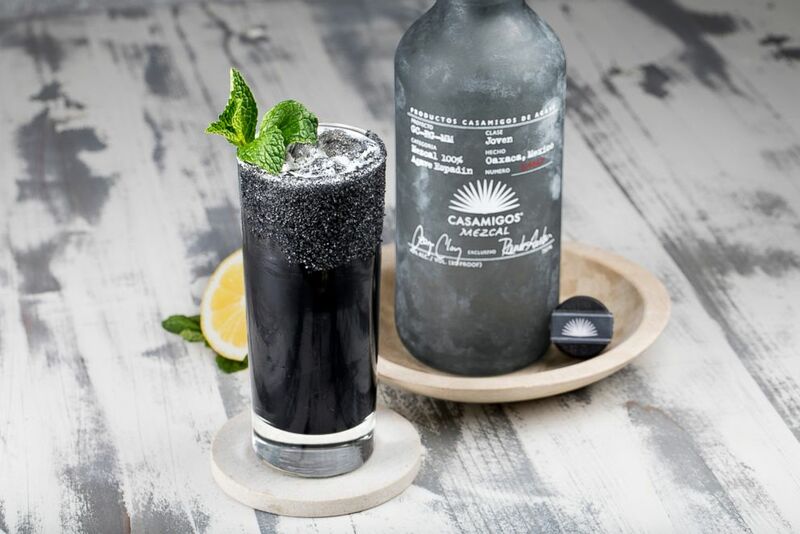 A Cinco de Mayo cocktail, the Casa Mexcal Lemonade with charcoal and black lava salt. Method: Combine all ingredients into a tin shaker. Muddle herbs, add ice and shake well. Strain into a Collins glass and add fresh ice. Top off with lemonade and garnish with a mint sprig. A Cinco de Mayo cocktail, Pink Dragon tequila cocktail with rose water and strawberries. Method: Combine all ingredients, except rose water and soda water, into tin shaker. Muddle fruit/herbs and add ice. Shake vigorously then finely strain into Collins glass. Add fresh ice and top off with soda water and six dashes of rose water. Garnish with mint sprig through halfmoon dragon fruit slice. A Cinco de Mayo cocktail, Casa Caprese tequila cocktail with heirloom tomatoes and basil. Method: Combine all ingredients into tin shaker and muddle fruit/herbs. Add ice and shake vigorously for a few seconds. Fine strain into Collins glass and add fresh ice. Add half cut mini tomatoes and push down with bar spoon. Garnish with large basil leaves and two small mozzarella balls through skewer. Drizzle olive oil over top and add crushed black pepper. 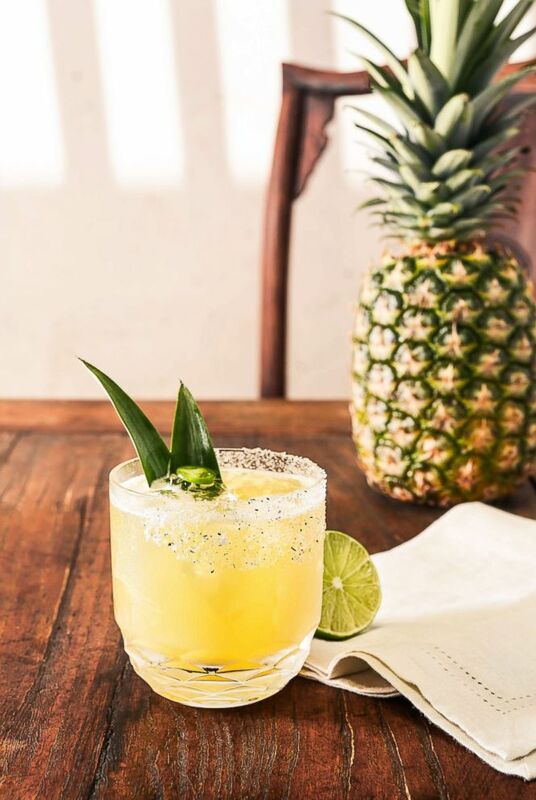 A Cinco de Mayo cocktail, the Pineapple Cilantro Margarita. 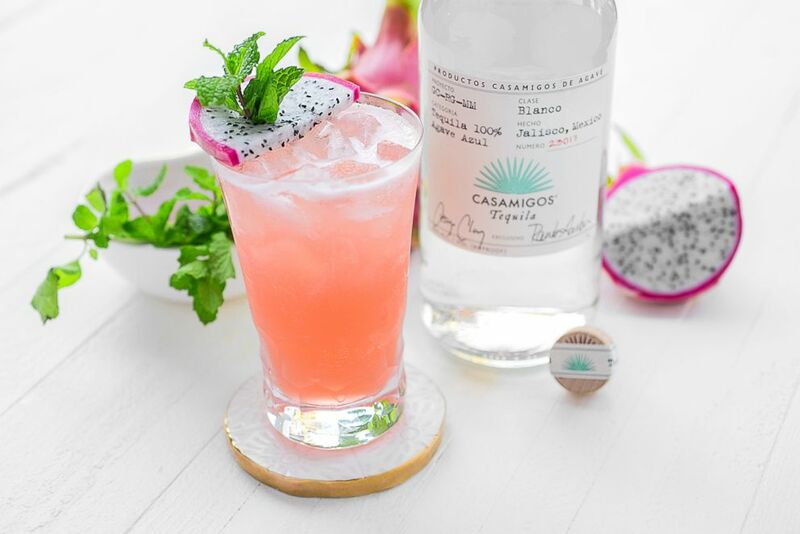 This sweet and savory respasado cocktail combo evokes tropical flavors elevated with a classic Mexican herbaceous taste. Shake one up with the recipe here. 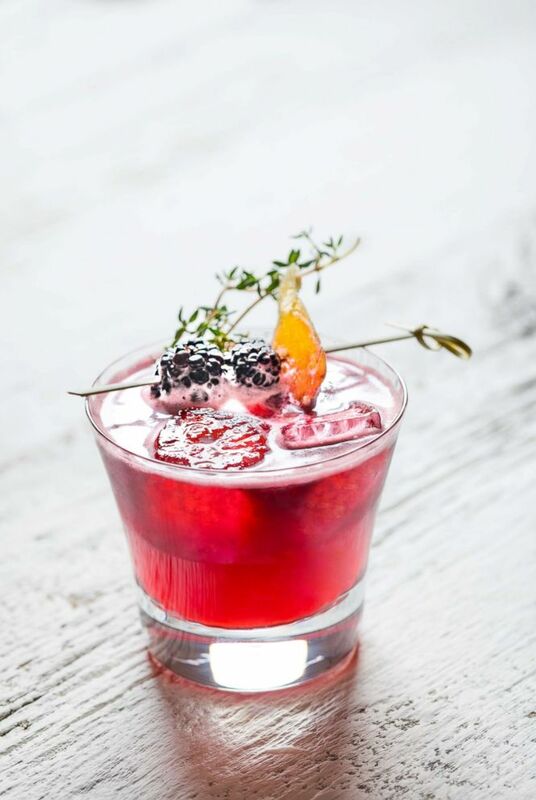 A Cinco de Mayo cocktail, the Blackberry Ginger Margarita with candied ginger and thyme garnish. Muddled blackberries with ginger syrup and a good resposado tequila make for the perfect fruity twist on a simple favorite. Get the ingredients and full recipe here. 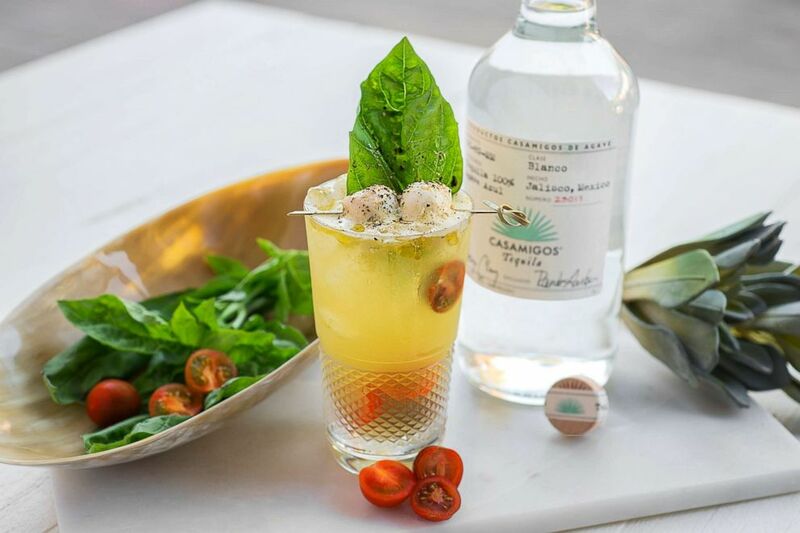 Above recipes reprinted courtesy of Casamigos Tequila. 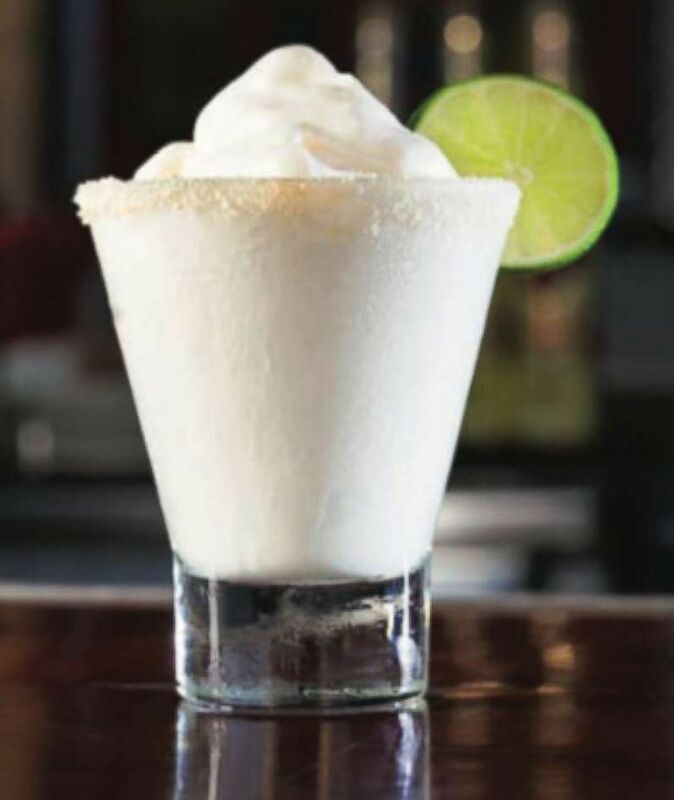 Try a frozen coconut margarita for Cinco de Mayo. Method: Measure and pour all ingredients into a blender. Blend on medium speed until ingredients are smooth. Pour contents of blender into garnished frozen margarita glass. Recipe reprinted courtesy of Corralejo. 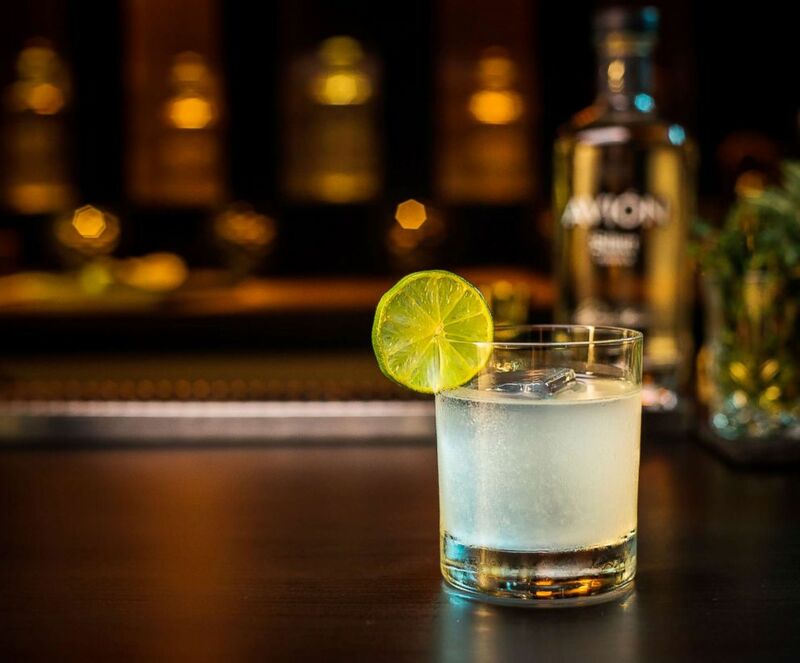 The Avion elevated margarita adds fresh agave nectar to the simple lime cocktail. Recipe reprinted courtesy of Tequila Avion.